Happy 4th of July!!!! I hope that everyone is having a great day, full of family, friends, food, and fireworks! This afternoon I am going to a neighbor’s house for “MeatFest.” (Don’t worry there will be shrimp there for me!) 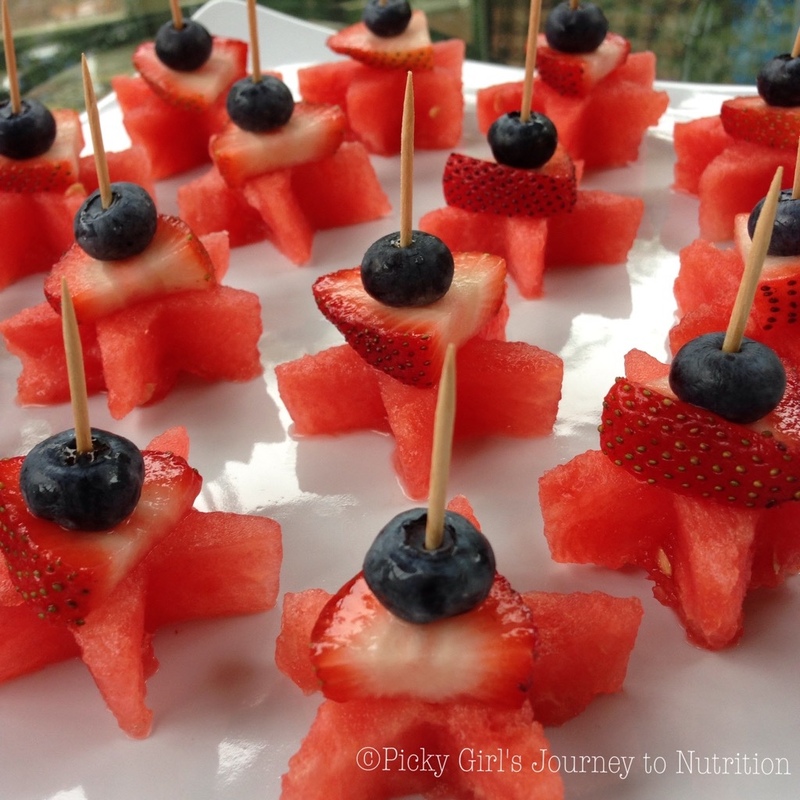 I decided that I needed to make a 4th of July themed fruit tray to take to the party. 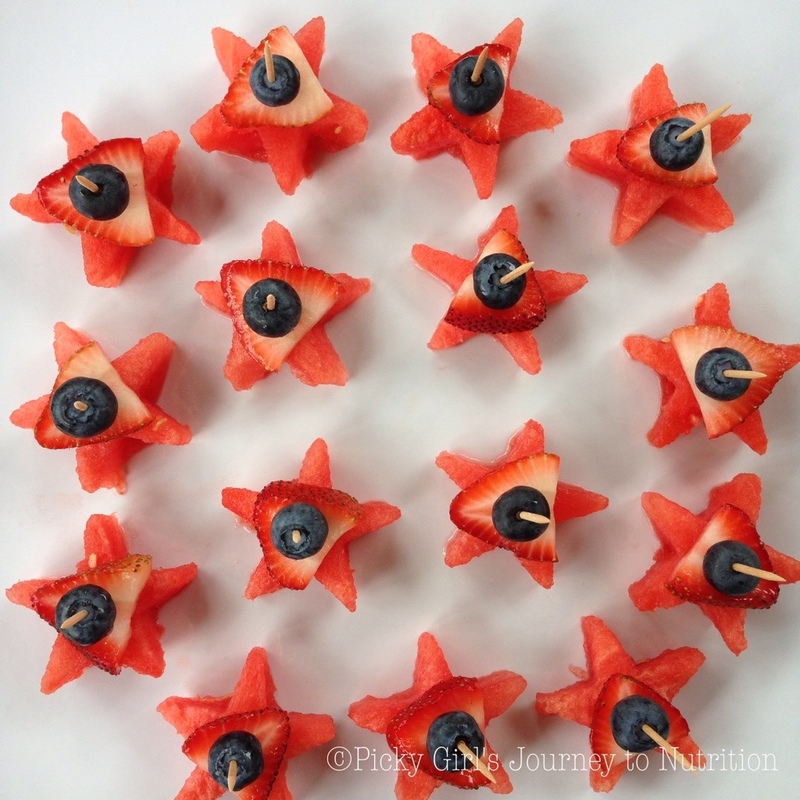 All I did was search on Pinterest for “4th of July fruit” and came across a lot of things similar to the one that I ended up making. However, I added the strawberries to mine, to add more fruit and a little bit of white! I thought that they turned out quite festive! 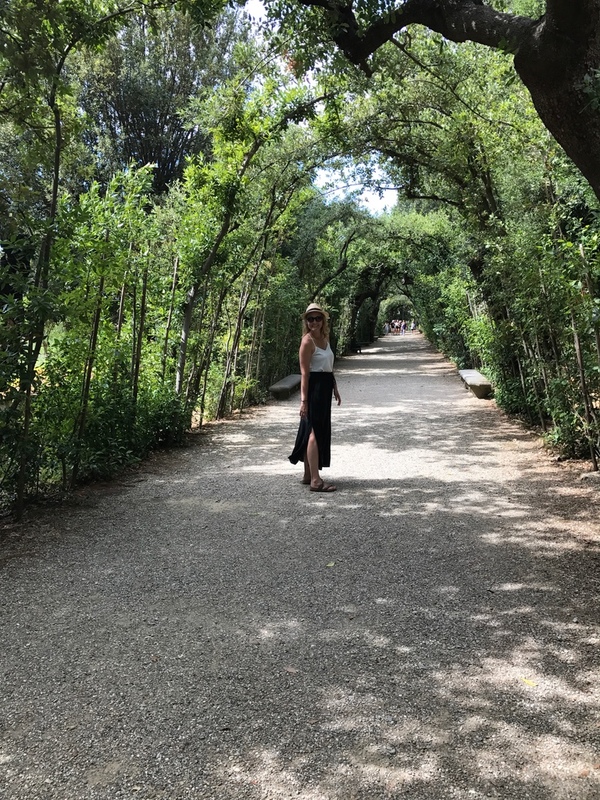 I hope that you enjoying your holiday as much as I am! 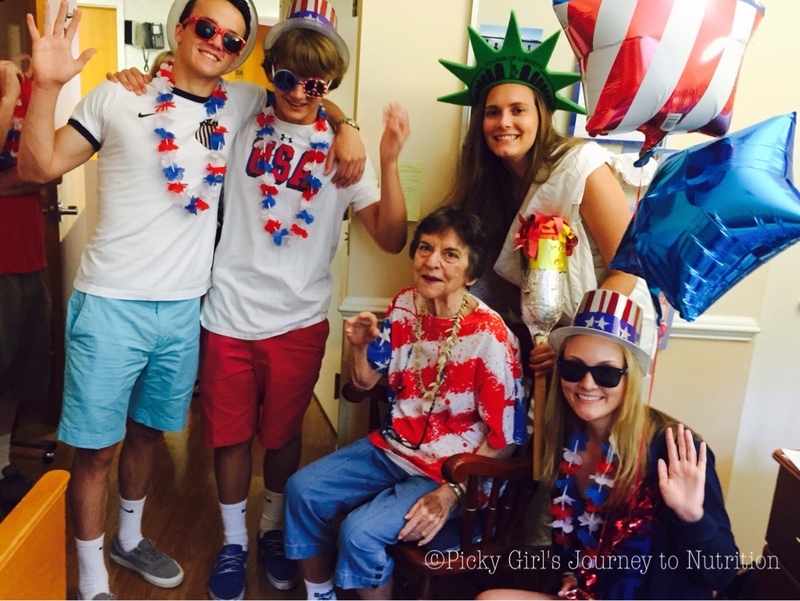 I spent the day with family, we surprised my Nana with a 4th of July themed parade (see photo below)! Stay tuned for more yummy recipes! I’m sure that she will like that! I’m glad we got to come and see you, Love you! I’m glad that you enjoyed them!